Reata Pharmaceuticals, Inc., a clinical stage biopharmaceutical company, focuses on identifying, developing, and commercializing product candidates that modulate the activity of key regulatory proteins involved in the biology of mitochondrial function, oxidative stress, and inflammation to address the unmet medical needs of patients with various serious or life-threatening diseases. The company focuses on drugs with novel mechanisms of action that modulate regulatory proteins called transcription factors. Its lead product candidates include bardoxolone methyl and RTA 408, which are members of a class of small molecules called antioxidant inflammation modulators. It is involved in LARIAT, a Phase II study of bardoxolone methyl for the treatment of pulmonary arterial hypertension and pulmonary hypertension due to interstitial lung disease. RTA 408 is in Phase II clinical development for the treatment of multiple diseases, including Friedreich's ataxia and mitochondrial myopathies. 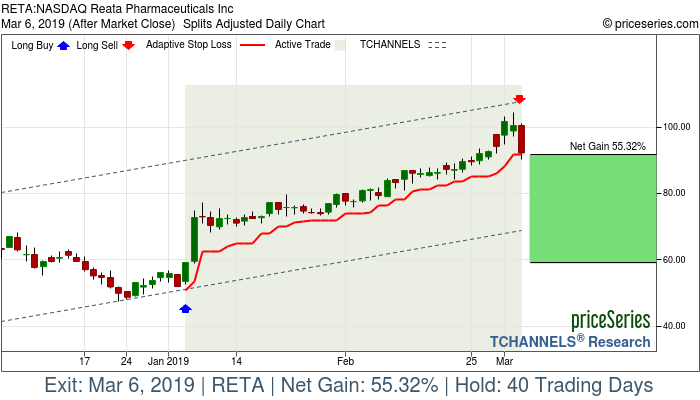 Reata Pharmaceuticals, Inc. was formerly known as Reata Discovery, Inc. and changed its name to Reata Pharmaceuticals, Inc. in May 2005. The company was founded in 2002 and is headquartered in Irving, Texas.